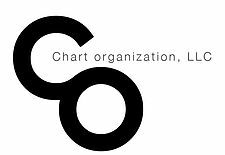 Chart Organization LLC, has built its first-class reputation on one basic principle: Each tenant is viewed as an opportunity for service. What distinguishes Chart Organization from other Investment and Management companies is the unfailing attention it gives each tenant. Chart was founded by Glenn Edwards who has built value-added relationships that are mutually beneficial to the network of professionals involved in each transaction. Every part of the Chart Organization’s value chain is treated with honesty and integrity. Chart Organization currently holds a strong portfolio boasting of over 30 assets in 10 states. We are continually looking for additional assets to add to our portfolio. We are a diverse commercial real estate investment firm that provides a range of services including asset and property management, acquisitions, and leasing. Chart Organization demonstrates the value they place on each Tenant by making regular capital investments and property upgrades to enable every tenant the best chance at success. Any issue undertaken can expect a quick turnaround time and satisfying solution. This Corporate Philosophy builds and encompasses goodwill for all concerned.